Peter Mitterhofer (1822-1893) was a carpenter from the South Tyrolean town of Partschins. He was an inventive man producing numerous beautiful objects of wood. 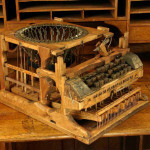 He became famous for his five typewriters made between 1864 and 1869. Four were made of wood and the fifth mainly of metal. Although ahead of their time, none of his typewriters went into production. However, he was awarded a grant of 200 guilders by the Emperor of Austria to develop his typewriter. 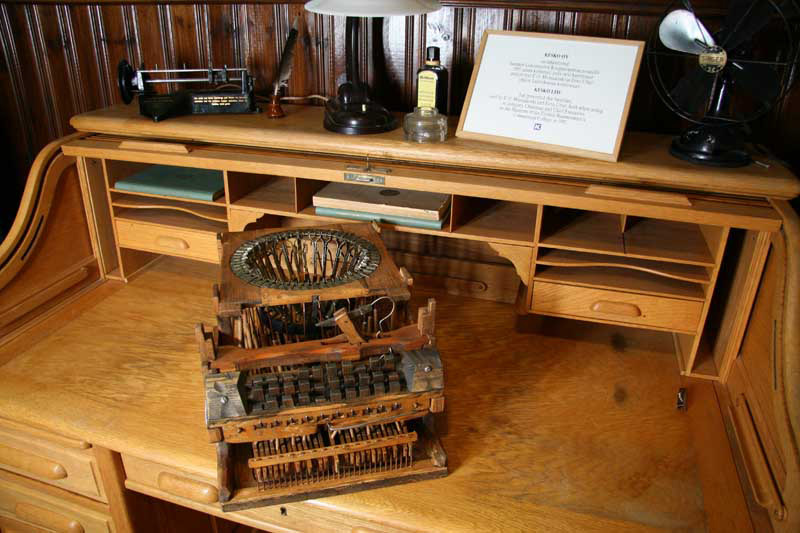 His typewriters were found after World War II and can be seen in museums in Vienna and Dresden. 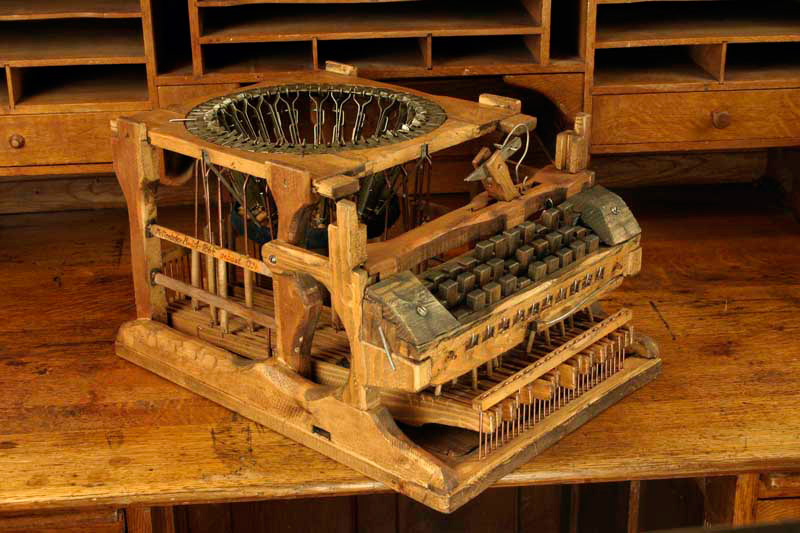 Peter Mitterhofer was far ahead of his time and many of his ideas are found in the later typewriters. 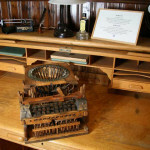 The ” Mitterhofer ” typewriter in our museum is a copy made by a German carpenter in 1994.